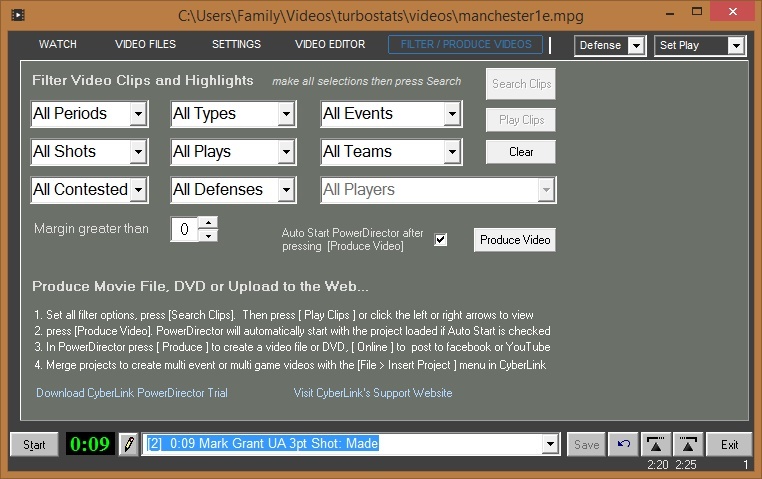 If you video your games TurboStats Platinum can save you a great deal of time watching film. 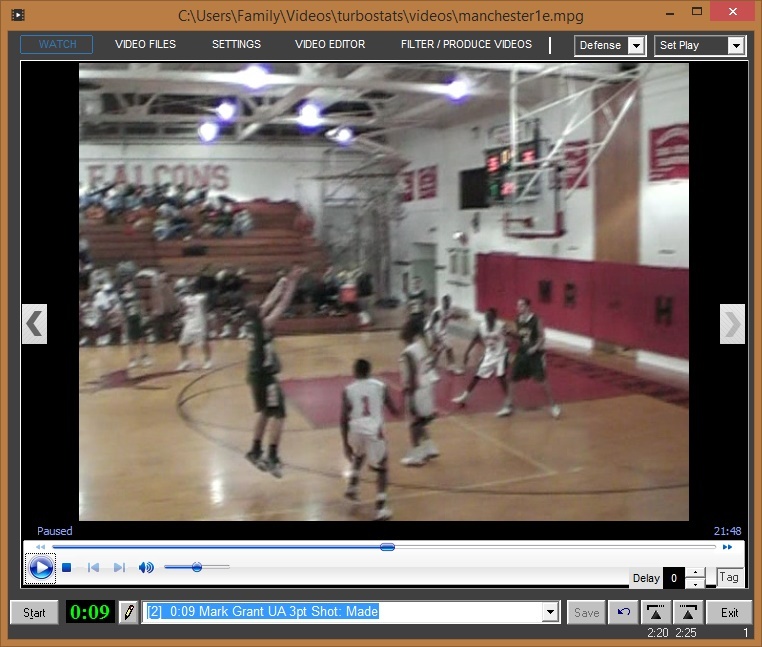 TurboStats includes a separate Camera/Elapsed time counter that can be used to Sync play by play data to your video. Simply start the timer and the camera at the start of each period and leave the camera running. While you are live scoring TurboStats automatically posts the elapsed time to the play by play event. When the game is over or at halftime copy your video to your computer or insert your camera SD card. 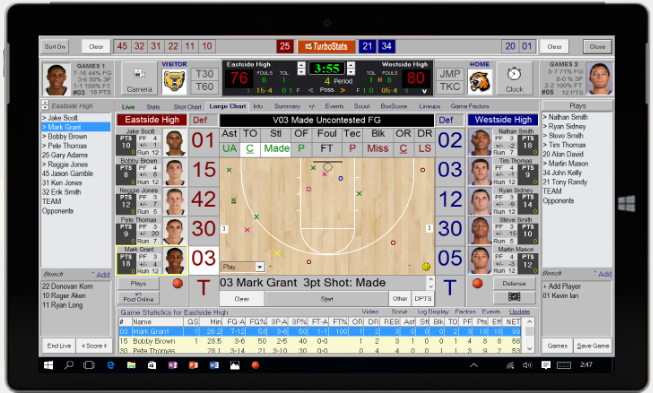 Select the video clip and just click the play by play event you want to see, press the Video button and TurboStats automatically loads the video to the clip location for playback. 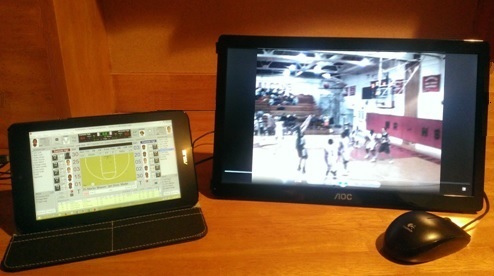 Shown with an Asus Note 8" tablet driving an AOC 16" USB Monitor as a 2nd display with a powered 4 port USB Hub that can also connect to an optional keyboard and mouse. 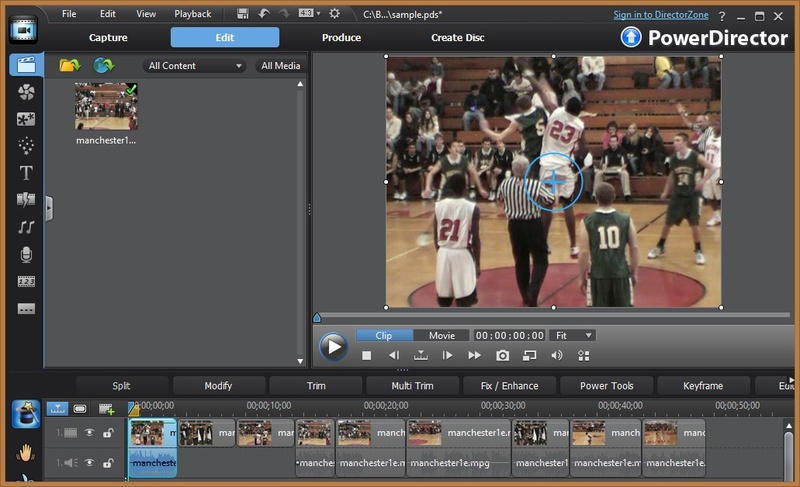 Video will be produced at an amazing speed because CyberLink is "The World's Fastest Video Editor"